Particular industries often favour particular languages. Much of the fashion industry speaks Italian, the pharma industry expects to work in English, the oil and gas industry revolves around Russian, and so on. Our team comprises interpreters who have vast sector experience as well as linguistic expertise. When you’re interpreting complex negotiations and ideas, this can make a big difference. 20 Years Industry Experience – we have been trading for over 20 years, and have extensive experience in simultaneous interpretation services. Central London Based – with our offices and warehouse based in the heart of London, our location can make a critical difference to supporting you. Dedicated Account Managers – our account managers, many of whom have been with us for many years, are specialist in their fields, ensuring your requirements are consistently met. Skilled Technicians – we employ our own experienced technicians, enabling us to be flexible and reliable with our service. State of the Art Equipment – we own and operate an extensive range of simultaneous interpretation equipment, ensuring we can accommodate even the most urgent requests. UK and European Venue Experience – we work in hundreds of venues all over the UK and Europe annually. Being based in Central London, we have particularly strong knowledge of London venues, from hotels to conference centres to town halls. Free Site Surveys – we are more than happy to provide free site surveys if needed. Costings – we operate a transparent pricing structure and charge a fair price for our service, a service which is complete and comprehensive. Audio Visual Provider – we stock a vast range of audio visual equipment for hire, enabling us to provide a one stop solution for our clients. 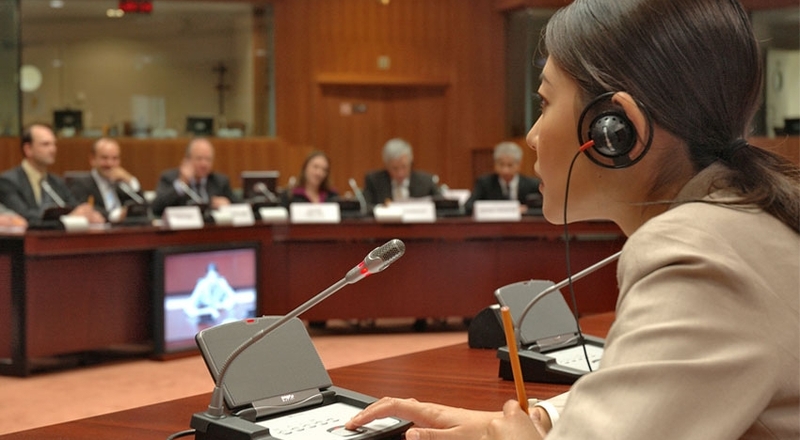 Focused on Simultaneous Interpretation – we specialise in providing simultaneous interpretation services and do not provide any other interpretation services.